Try this if you’re getting bored of playing on a single stage. If you’re looking to spice up your matches in Super Smash Bros. Ultimate, you might want to look out for the Stage Morph option. Stage Morph is a new feature added to Ultimate that allows you to transition from one stage to another mid-battle. The stages don’t even need to have similar platforms, so you can just choose your two favorite stages and make it happen. 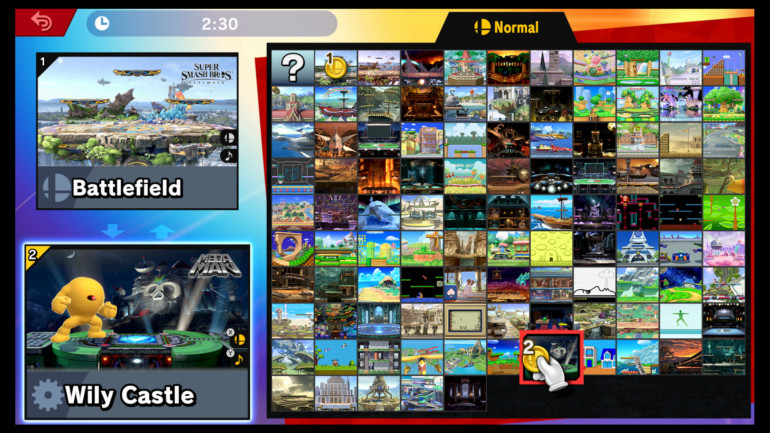 The feature can be used in any ruleset in the Smash mode, but the option to unlock it is hidden away from those trying to find it. To access it, you first need to either edit a ruleset that you have or create a new one. Then, simply scroll down until you come to Advanced Options. Click that and it’ll open up a host of other options for you to click on, one of which is Stage Morph. After you select it and save the ruleset, click on it in the main menu and you will load into the Stage Select screen. There, you can decide which two stages you want to use before jumping into the match. Just note, if you want to use Stage Morph in other game types, you’ll need to select it in the Advanced Options menu each time.